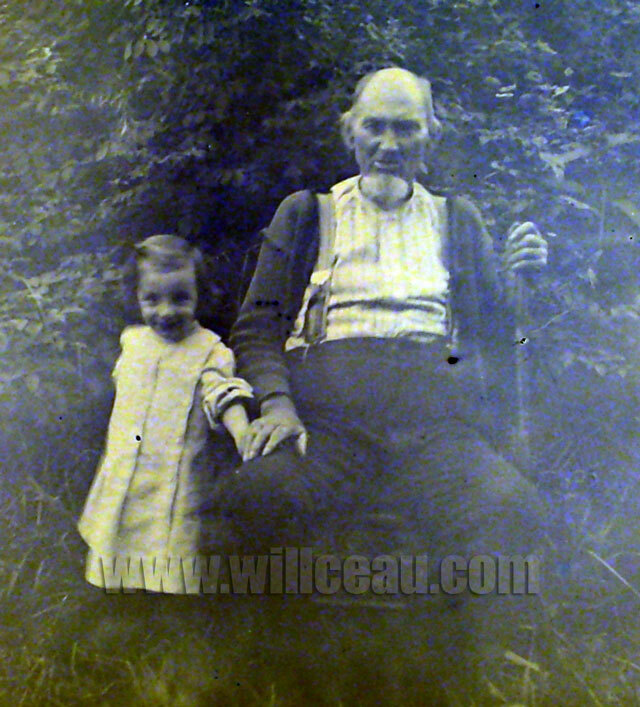 Here’s another of John B. Capewell’s glass negatives that he shot about 100 years ago. I don’t have any information as to the identity of this pair, but the girl appears in a number of the 200 glass negatives in my possession. Capewell and his family lived on Broadway in Westville, New Jersey which is just across the Delaware River from Philadelphia. Here is the entire 5″ x 7″ negative. Sadly, some of these negatives are in poor shape while others have given me virtual prints better than I imagined that they could. This is one of the photographs that are somewhat worse for wear. It’s still a fascinating shot that was probably made around the same time as the other negative. I wonder if the old timer told tales of The Civil War. 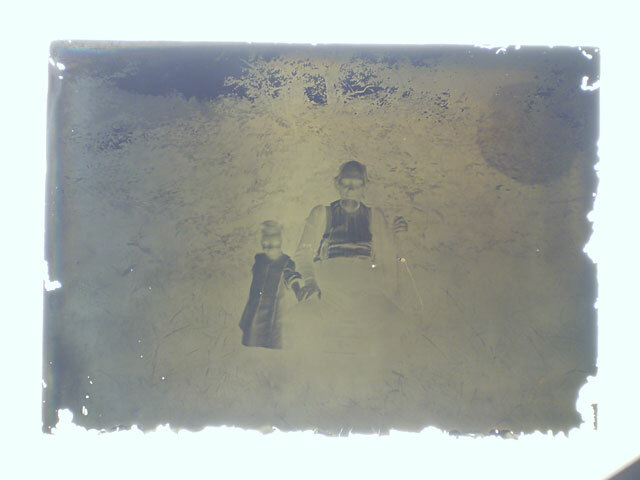 Here is the glass negative as I shot it. I inverted and adjusted the levels in Photoshop. This entry was posted in The Capewell Glass Negative Collection and tagged analog, antique, Joe Williams, John B Capewell, New Jersey, old, photography, Photoshop, The Capewell Glass Negative Collection, vintage, Westville. Bookmark the permalink. Thank you so much for this information. It’s been a while since this series ended, but it’s gratifying to see new information filtering in. Thanks again!